Who would have guessed a one-stoplight town could have so much to offer? Surrounded by picturesque farmland, this charming Central New York village is home to the Baseball Hall of Fame and much more--from icons of music and art to pristine Otsego Lake. 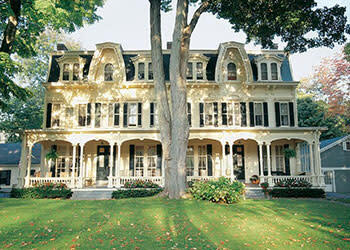 Called America&apos;s hometown, Cooperstown has small-town charm and world-class attractions. Discover living history at The Farmers&apos; Museum, acclaimed opera at the Glimmerglass Festival, breweries, great restaurants, four-season events, and outdoor fun-from golf and sailing on the lake, to hiking or snowshoeing in Glimmerglass State Park-all amid picture-perfect scenery. 1. National Baseball Hall of Fame & Museum. 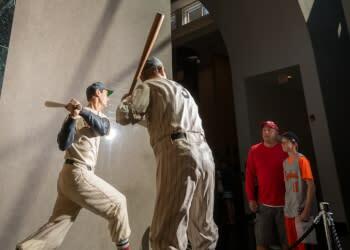 From the uniform that Cy Young wore and bats used by Willie Mays and Derek Jeter, to interactive exhibits and special events, the Museum&apos;s vast collection tells great stories of America&apos;s national pastime. 2. Fenimore Art Museum. 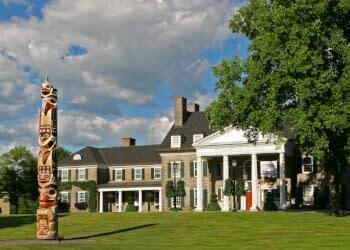 The 1830s mansion houses fascinating folk art, American Indian art, decorative arts and Hudson River School paintings. Splendid gardens overlook Otsego Lake; a Seneca Log House and Mohawk Bark House offer a glimpse of the past. 3. The Glimmerglass Festival. 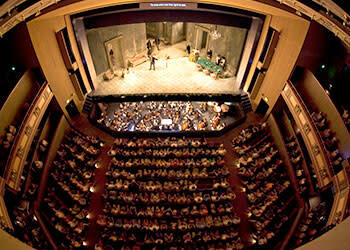 Acclaimed opera and musical theater are presented every summer in a lakeside theater called "the most magical of settings" by The London Times. 1. The Farmers&apos; Museum. Weavers, blacksmiths and farmers demonstrate crafts and skills in a re-created 1845 village and working farm that bring history to life. 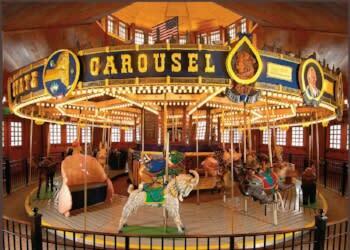 The Carousel features hand-carved animals native to New York and an Erie Canal boat. Events are held year-round. 2. Glimmerglass State Park/Otsego Lake. Four-season fun includes swimming, boating, fishing hiking and camping; and winter sports: snowtubing, ice-skating and ice-fishing, cross-country skiing and snowshoeing. 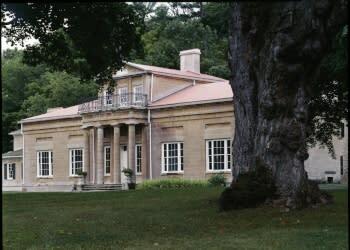 Hyde Hall, described as America&apos;s finest neoclassic country mansion, offers tours just seven miles north of Cooperstown. 3. Cooperstown & Charlotte Valley Railroad. 16-mile sightseeing trips run from Milford Depot to Cooperstown in 1928 passenger coaches and an open-air gondola. Special runs include music trains, ice-cream socials, staged robberies, dinosaur trains, the Easter Bunny Express, Halloween and Christmas Trains. Let the whimsical folk art at The Fenimore Museum and living history exhibits at The Farmers&apos; Museum next-door take you back to a simpler time. Even a trolley ride down Main Street is a magical trip in this vintage American town. Have lunch at the Doubleday Café and explore Main Street, lined with historic landmarks and colorful shops selling sports memorabilia, gifts, crafts and souvenirs. Explore the world-famous National Baseball Hall of Fame & Museum. 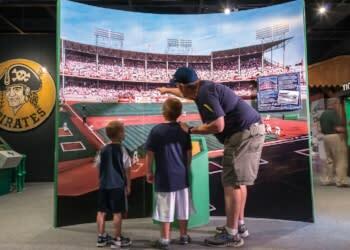 Interactive exhibits, films and thousands of artifacts celebrate the game, honor its greatest players, and reflect American culture. 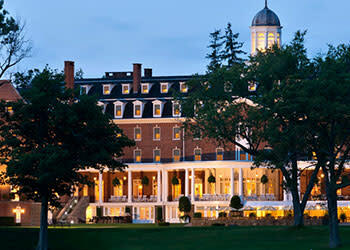 Finish the day with a sumptuous lakeside dinner at the Otesaga Resort Hotel. Or if you and your family are looking for a quick meal, head to Sal&apos;s Pizzaria on Main Street. 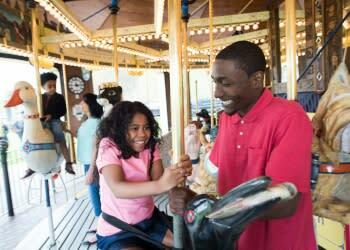 Inside tip: Take advantage of designated free parking areas and ride the Trolley. Tickets cost $2 and offer unlimited rides all day to the museums, Main Street shops, and other venues. Experience the town&apos;s timeless charm on a stroll down Main Street. Browse the shops and then continue on to Lakefront Park, near the village center, for a soothing view of Otsego Lake. Ease into your weekend with cocktails or a snack from the small-plate menu at the outdoor Fire Bar as you watch the sunset over the lake. For your main course, head to a great restaurant like Mel&apos;s at 22, with live music and a cozy atmosphere that&apos;s perfect for a date night or family dinner. Check out Cooperstown Summer Music Festival&apos;s schedule of Friday night performances, April through October. Get an early start with breakfast at the Cooperstown Diner, a classic Main Street gem where locals, celebrities and visitors go for good coffee, comfort food and the latest news. It&apos;s been featured in the Boston Globe, NY Times and Diners of America. Delicious breakfast is served from 6am to 8pm every day, so treat the kids to a pancake dinner. You could spend a few hours or the whole day exploring the National Baseball Hall of Fame & Museum. Visit during the Hall of Fame Classic or Induction Weekend to meet living legends. If a full day at the museum isn&apos;t your thing, spend some time strolling through Main Street shops and pick up a tasty lunch at Danny&apos;s Market or the Cooperstown Farmer&apos;s Market. Plan a night to remember at the Glimmerglass Festival, world-class opera and musical theater in a magical lakeside setting. You can pre-order a gourmet picnic to eat on the lawn pre-show. Kids ages 6 and up are welcome at performances, and tickets for the little ones start at just $10. If you&apos;re visiting during colder months, the Cooperstown Concert Series presents stellar music, from Cajun to classical, at various local venues from Brewery Ommegang to The Otesaga every Saturday night. Start your day with heavenly coffee and cinnamon rolls from Schneider&apos;s Bakery. Get pastries, cupcakes or cookies for an afternoon treat (if you can wait that long). Step into an 1845 village, the Farmers&apos; Museum, and ramble amid the houses, barnyard, school, church and shops, as costumed guides tell you about the Cardiff Giant, the Empire State Carousel as well as traditions and tasks of 19th-century rural life. 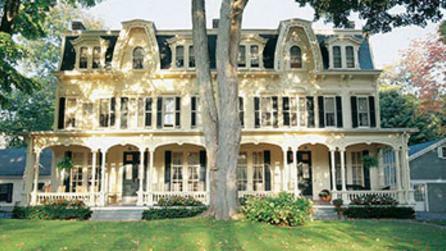 Next door, you&apos;ll find one of the world&apos;s biggest and best folk art collections, with whimsical weathervanes, ship figureheads, quilts, paintings and trade signs, at the Fenimore Art Museum. 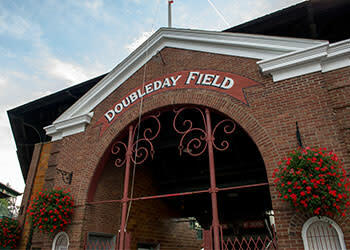 Have lunch at the Doubleday Café on Main Street, then catch a ballgame at historic Doubleday Field, where players play just for the love of the game--every day, three games a day during baseball season--on the perfectly manicured diamond. Before heading home, take in the view of Otsego Lake, either from Lakefront Park in the village, or a waterside restaurant like the seasonal Blue Mingo Grill or the Hawkeye Bar & Grill, open year-round. 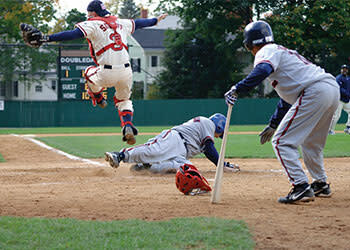 Celebrate the spirit of baseball, its heroes and history at the National Baseball Hall of Fame. The world&apos;s most famous sports shrine has thousands of baseball treasures and exhibits on three floors. But this is no stuffy museum experience: Plenty of the exhibits are interactive and kid-friendly. Rent a bike from Woodland Cycles in Milford ($45/day). This area&apos;s great for riding, from rural roads and rolling hills to epic climbs. See bike routes at This is Cooperstown. For a gorgeous 22-mile loop around Otsego Lake, head north from Cooperstown and keep turning right around the lake. After you&apos;ve worked up an appetite, enjoy the view of Otsego while you wine and dine on seafood and burgers at Lake Front Restaurant. Set off for a morning swim or hike along the wooded trails of Glimmerglass State Park. Just north of the village, it&apos;s beautiful in every season. Watch for wildlife, walk through the covered bridge, and tour the neoclassical mansion and national historic site Hyde Hall, which is surrounded by rolling hills and stunning lake views. Rent a canoe, kayak or fishing boat from Sam Smith&apos;s Boatyard, on Otsego Lake. You can also buy fishing licenses, poles and bait if you want to try to catch your dinner. If you come up empty, the Blue Mingo Grille, on-site, serves lunch and dinner lakeside on the porch. 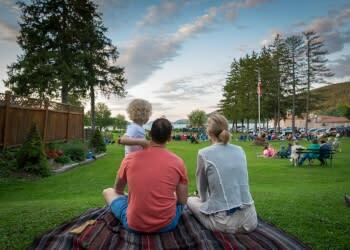 In summer, bring a blanket and take-out from Sal&apos;s Pizzaria, or treats from Schneider&apos;s Bakery, to the free Cooperstown Lakefront Concert Series, at the bandstand in Lakefront Park every Tuesday evening at 7pm. Dancing is encouraged. 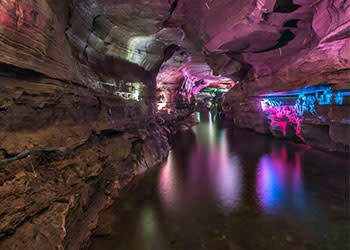 Take a 35-mile road trip to Howe Caverns, a geological wonder 156 feet below the Earth&apos;s surface and New York&apos;s second-most-visited natural attraction (after Niagara Falls). Get a lift at Howe Caverns High Adventure Park, packed with affordable outdoor fun for all ages, from zip lines to rock climbing walls. On the way back, stop in Sharon Springs to visit the fabulous Beekman Boys&apos; Beekman 1802 Mercantile on Main Street, selling heirloom quality, artisanal and handcrafted goods, from their famous goat-milk soaps and cheese to pasta sauce. Have a fabulous farm-to-table dinner down the street at the American Hotel, featured on chef Rachael Ray&apos;s TV special, Tasty Travels. 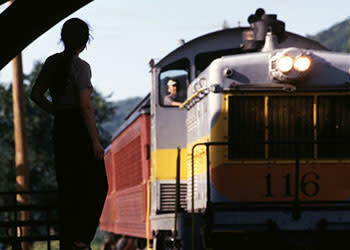 Ride into history and take in the beautiful scenery on the Cooperstown & Charlotte Valley Railroad. Check the schedule for boarding times and special events. Check the website for info about how your kids can become "guest engineers," and actually drive one of the vintage trains! Follow the Cooperstown Beverage Trail, a scenic 37-mile route in America&apos;s former hops-growing capital. Breweries, wineries, a distillery and a cider mill host tours, tasting and events. Plan for a designated driver or a service like Doubleday Drivers, who drive their van, or your vehicle, along the trail or to other local sites, airports and train stations. 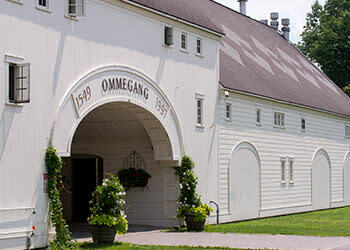 Tour Brewery Ommegang, a Belgian farmstead-style brewery on a former hops farm, named one of America&apos;s 25 Best Craft Breweries by The Daily Meal. The Café on-site serves Belgian fare, from beer-steamed mussels with frites to ice-cream waffles. You have to be over 21 to taste the brews, but kids are welcome to tag along. 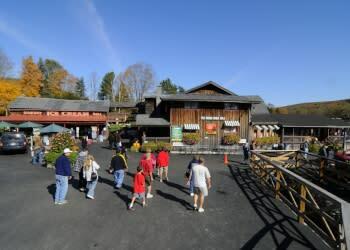 If you&apos;re still hungry at dinner time, visitors of all ages love the Fly Creek Cider Mill, which offers samples of 40 foods, from sweet cider to tangy NYS cheddar. In autumn, be sure to pick up some apples and fresh-baked pies. Another family-favorite, Cooperstown Fun Park has a twisting go-kart track, bumper boats, batting cages and mini-golf. Inside, there&apos;s a pizza and ice-cream parlor. See regional crafts at The Smithy Gallery, housed in Cooperstown&apos;s oldest building, a former blacksmith&apos;s shop built in 1786. The Smithy hosts pottery classes and workshops year-round and concerts on Thursday evenings in June and July. Grown-ups can cap off the night by dancing the night away in The Otesaga&apos;s Templeton Lounge, on Thursdays, Fridays and Saturdays. 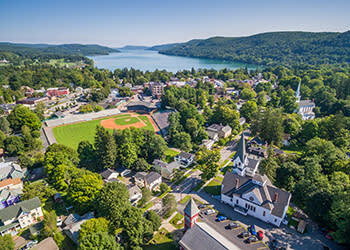 Ride the charming trolley down Main Street and have a hearty breakfast at The Cooperstown Diner, then visit the Farmers&apos; Museum, a very kid-friendly replica of an 1845 farmstead and village with seasonal crops, farm animals, and costumed interpreters showcasing traditional trades, crafts and chores. 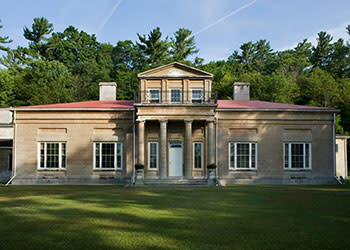 See great American art, from Thomas Cole to Grandma Moses, at the Fenimore Art Museum. The gardens overlooking the lake are an ideal spot for a picnic lunch. If you&apos;re looking to soak up some fresh air on the water, board The Glimmerglass Queen, which offers narrated cruises and views of the scenery that inspired James Fenimore Cooper&apos;s Leatherstocking Tales. Relax with afternoon tea on the spacious veranda at the Otesaga before dinner at the Glimmerglass restaurant or Hawkeye Bar & Grill. Rent a stand-up paddleboard from Canoe & Kayak Rentals and head out on the water for a scenic and relaxing ride. For grown-up landlubbers, "field to flask" Cooperstown Distillery crafts award-winning spirits from New York farm products. Take a tour and see their retail shop. After 5pm, the shop transforms into a cocktail lounge serving pub food, good music and good cheer. Be inspired by a performance of opera or musical theater at the Glimmerglass Festival, a summer season of world-class music. Food trucks and concession stands are available so you can picnic on the grounds. Start big with the sumptuous Sunday Brunch Buffet at the Glimmerglass. Bring home country flavor from Middlefield Orchard. Depending on the season, you can pick berries, peaches, apples, pears or pumpkins at the family-friendly farm with over 10,000 dwarf fruit trees for easy picking. Find vegetables too: Brussels sprouts to sweet corn and tomatoes. Catch one of Cooperstown Summer Music Festival&apos;s Sunday afternoon concerts, from classical to bluegrass, April through October. Take a seat behind home plate in the grandstand and watch a ballgame on Doubleday&apos;s lush green field. Mickey Mantle played here in 1965. Admission is free; the experience is priceless. Have dinner at Nicoletta&apos;s Italian Café on Main Street. 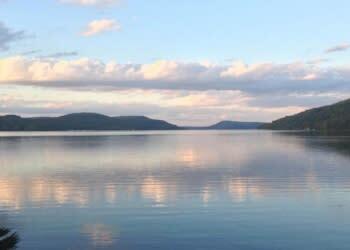 Before heading home, stretch your legs with a walk to Lakefront Park for a last look at beautiful Otsego Lake. 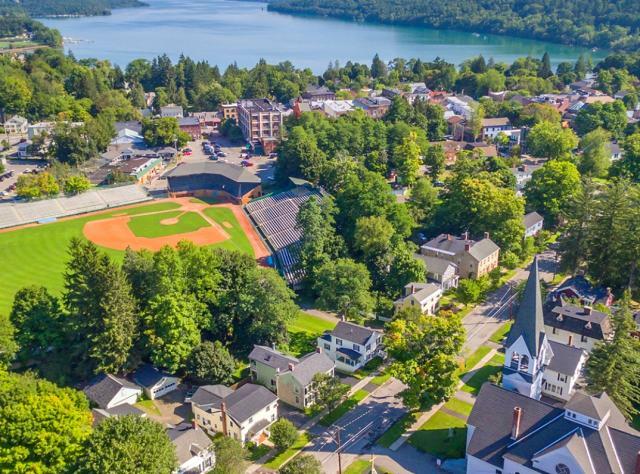 This hotel offers lean, comfortable rooms, along with free parking, continental breakfast and Wi-Fi, just three miles from downtown Cooperstown. It&apos;s open from May through mid-October. Families are welcome at this motel, which has clean, comfortable rooms with lake views six miles north of downtown Cooperstown on Otsego Lake. Paddleboats, fishing, a picnic area and grills are all available to help enhance your vacation. Free parking and continental breakfast are included. It&apos;s open April through November. Seven miles from downtown Cooperstown, you&apos;ll find clean, comfortable rooms with mini-fridge and complimentary Wi-Fi. Cottage Units rented by the week have kitchens and decks overlooking Otsego Lake. 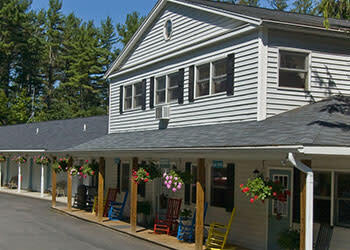 Just blocks from Main Street and the Baseball Hall of Fame you&apos;ll find renovated rooms and scenic views of Otsego Lake. The Lake Front also includes a restaurant, bar and Glimmerglass Queen boat tour. This cozy Victorian B&B with a wraparound porch combines old-world charm with modern luxury. It&apos;s a short walk from the Trolley and less than one mile from the Baseball Hall of Fame. Wi-Fi and full breakfast are included. This chain features clean, comfortable rooms, free parking, Wi-Fi and breakfast, four miles from the Hall of Fame. The kids will rejoice when they see the indoor pool. 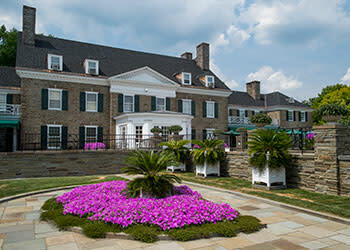 This stately 132-room resort hotel is a short walk from Main Street. Your family will love swimming in the lake or heated outdoor pool, or getting sporty with canoes, rowboats, tennis and top-rated Leatherstocking Golf Course. Afternoon tea on the lakefront portico is an essential treat. The Otesaga is open April through October. Charming and spotless, this 1874 hotel is steps from Main Street and the Hall of Fame. Walk to attractions, shops and dining. Buffet breakfast; summer lemonade and cookies on the porch. Explore park-like grounds just a short walk from Main Street attractions while relaxing in renovated 19th-century grandeur. Free continental breakfast and use of recreational facilities at the Otesaga are included, as well as discounted fees at the Leatherstocking Golf Course. This small-town Main Street diner serves jumbo burgers and big-time hearty, home-cooked meals--plus all-day breakfast! Fans range from Ron Howard to Hall-of-Famers. Sal&apos;s has been serving New York-style thin crust pizza, wings, subs, burgers and more on Main Street since 1978. Dine in, scope out a spot on the deck, or grab a pie to go. Start your day (or have an afternoon pick-me-up) with coffee, cinnamon rolls, pastries and "the world&apos;s best doughnut," according to locals. Stock up on specialty sandwiches, soups, salads and fresh-baked goods, from bread and NYC-style bagels to Italian cookies. Grown-ups will love the inspired American cuisine, from seafood to classic burgers, all fresh and cooked to order. Cocktails, live music and friendly service complete the comfortable ambiance. A more family-friendly option, Doubleday has been praised by locals and press like The Boston Globe. Specials range from meatloaf and chicken & biscuits to prime rib. It&apos;s located just down the street from Doubleday Field. Feast on Italian fare in an elegant yet family-friendly setting. Plentiful portions please locals, celebrities and Main Street visitors alike. Named one of America&apos;s 25 Best Craft Breweries by The Daily Meal, Ommegang has much more to offer than just world-class suds--including plenty of kid-approved fare. 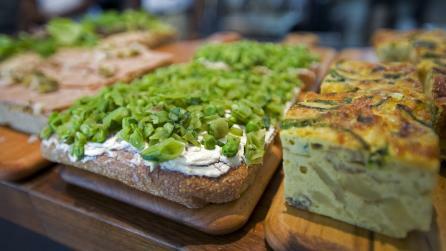 Belgian dishes, aioli, crepes and ice-cream waffles are among the tasty offerings. Here you&apos;ll find fresh, innovative cuisine made from seasonal local ingredients, plus breathtaking views of the lake and surrounding hills. Local ingredients also dominate the menu at this eatery, featuring classic American cuisine and scenic lake views from the veranda. It&apos;s open April through November. Take in some local flavor with seasonal favorites and regional specialties like pan-seared rainbow trout. You can enjoy the views of Lake Otsego year-round. This one&apos;s a bit out of town, but it&apos;s worth the scenic 24-mile drive to Leonardsville. Book a table to experience classical French cuisine that would make Julia Child proud. Hyde Hall, believed to be haunted for over a century, was featured on Syfy&apos;s popular series, Ghost Hunters. According to Hyde Hall Executive Director Jonathan Maney, "the producers saved this episode for their Halloween special--the best slot in their season. It&apos;s that good!" On summer and October evenings, special candle-lit ghost tours focus on eerie events. Picturesque Otsego Lake, called the Glimmerglass by James Fenimore Cooper, plays a prominent role in his Leatherstocking Tales. The Deerslayer, considered one of Cooper&apos;s finest novels, is as much about the Lake itself as about its human characters. Founded in 1786, Cooperstown is named for Judge William Cooper. His son, James Fenimore Cooper, wrote The Last of the Mohicans and other tales set amid the local hills and forests. Many original homes and shops have been carefully preserved. Doubleday Field is named for General Abner Doubleday, credited for inventing the game of baseball in 1839 when he was a student at a military academy. The National Baseball Commission decreed him baseball&apos;s founder in 1908. Recent research also credits NYC resident Alexander Joy Cartwright. • Whether you&apos;re traveling near or far, start your journey by flying into Albany International Airport, Albany Shaker Road, Albany, NY. 71 miles from Cooperstown via Trailways bus or rental car. • Amtrak to train station at Albany-Rensselaer (1.5-hour bus ride to Cooperstown via Trailways) or Utica (1-hour bus ride to Cooperstown via Trailways). 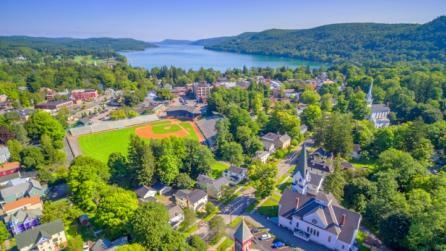 • Trailways provides direct bus service to Cooperstown.